It’s been a while since we talked about animations, so with the Steam Knight released, why not? As a bit of a Big Deal, we didn’t want Steam Knights to just ‘manifest’ in your colony. They should have an entrance! And ideally one that makes a bit of sense in the context of your colony. Walking in from the borders is a bit troublesome – the chance of running into hostiles is pretty high, and Steam Knights aren’t exactly fast. Perhaps they could come… from above? Lord Palmerstoke’s Cranial Parachute was a bold idea, but ultimately failed to catch on due to an unfortunate spate of Coronal Ruptures. 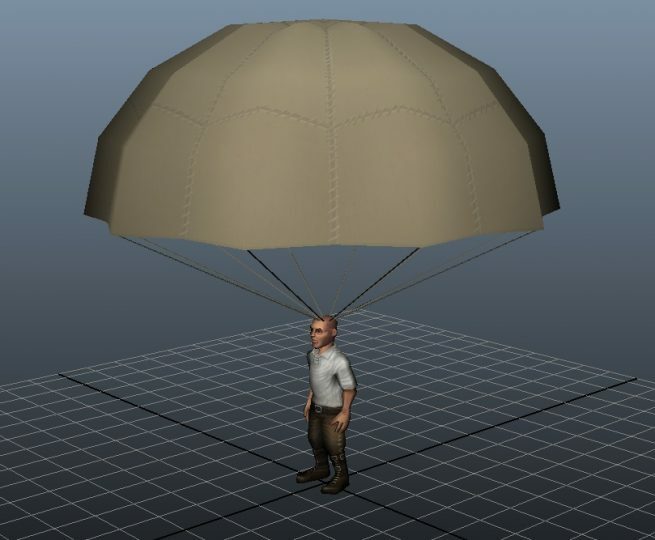 We’ve had stuff drop from airships in the game before – supplies and such, using a parachute. But what parachute would be worthy of such a noble monolith of steel? None, I say! It was decided that the Steam Knight has no need of parachutes – The Steam Knight will fall to the ground unaided! I’m afraid I have a confession to make here; my first attempt at having the steam knight fall from the sky was a shameful act – the forbidden Three-Point Landing. The three-point landing is the most dire of cinematic cliches, a trope so well-worn that animators who use it are banished to the Grey Wastes to live out their days in endless shame. Thankfully, no evidence yet remains of this first pass on the animation; I wisely realized the fallacy I was committing and purged it from existence before too much work had been done. The next, proper attempt at a landing was to simply have them barely react – they’re mighty Steam Knights after all – a fall shouldn’t inconvenience them! This first pass was rather too subtle, however: They appeared to be ‘spawning’ into existence rather than falling. It’s actually possible to sell this sort of thing, but it generally requires substantial effects work and some motion blur to really get it going. In lieu of that, I decided to amp up the impact a bit. Now that really sells the impact! Just a few more improvements to give the settle a bit more weight, add some dust effects…. Yesss. A lovely finished animation, and a lovely entrance for our Mighty Steam Knights. Lastly, I’ve been going back and polishing up a few old animations as I notice things that bug me. We’ve also got adjustable animal walk speeds in, so our lovely tortoises can properly Do Their Thing. Look at em! Just look at em go!! Aw, that tortoise! Such an adorable animation. I want that tortoise. Can they be domesticated? …those adorable things, coming with their own soup pot! Oy, lads? You know what’s the colony definitely lacks? The big flagpole with colours high! Imperial standard in the freshly colonised land – that is really imperialistic! Why not have a small blob shadow that slowly gets larger before having the knight fall? 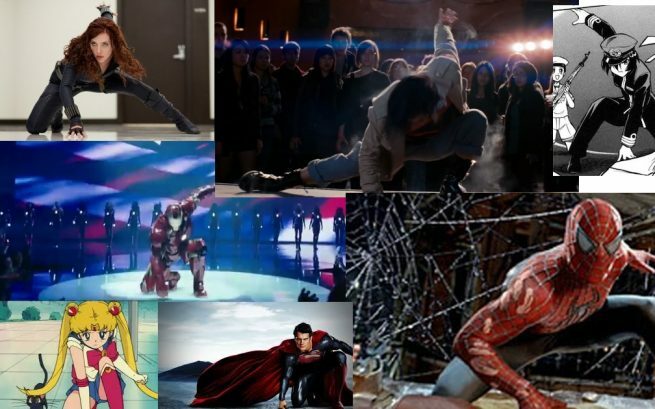 I’m inclined to think that you enjoyed the recent Deadpool movie.